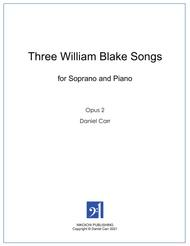 Composed by Daniel Carr. 21st Century, Romantic Period, Movies, Pop, Folk. Score. 15 pages. Daniel Carr #Nikoichi2. Published by Daniel Carr (S0.24856). 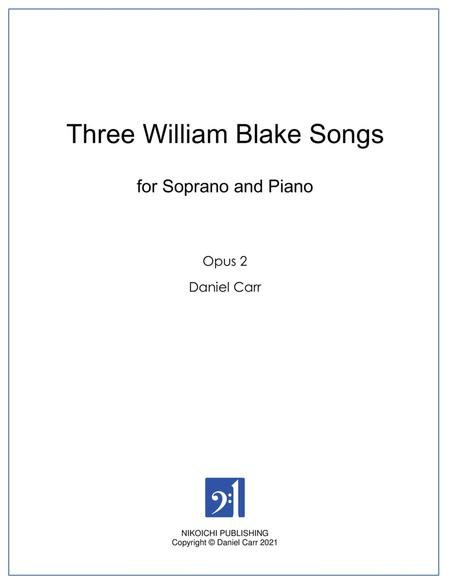 Three William Blake Songs for Soprano and Piano, Opus 2, were my first attempt at composing classical songs for voice and piano. Having grown up listening to far more pop music than classical, these songs tend to have a Pop, Folk and even Broadway influence wrapped in the cloak of Classical Music. These simple songs are to be sung with minimal vibrato and ask for a pure, clean tone.